The reason we purchased the software was to take advantage of trochoidal machining strategies, for this, the iMachining product works well. Because SolidCAM is a SolidWORKS add-in, the geometry creation and editing are easier than porting from the CAD software to the CAM software. Or having to suffer through the CAD tools that most CAM software include. The online videos and community support is great too. It's probably not applicable to most users but, we have high speed spindles and machines. The iMachining doesn't allow me to set a minimum or floor speed / RPM. So I spend time editing the feeds and speeds. Templates help this, but it would be nice to have access to the algorithm itself. When updating from version to version, it's easy to lose files because they get segregated into different folders. I found it best to clean out the old file locations and move the files to the new installation folders. 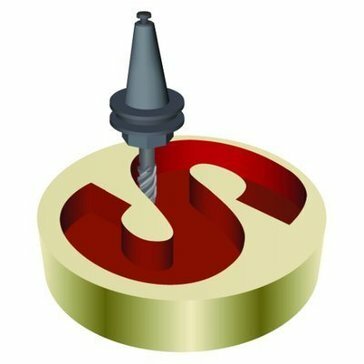 The iMachining trochoidal milling strategies have significantly decreased cycle times and increased tool life. The 3D tool paths have increased our manufacturing capabilities. "Great product at the right price!" I mainly use CamWorks. This product is very user friendly. Help menus and graphical images are very useful. Volumill is dialed in and works great. Five axis positional programming is very straight forward. 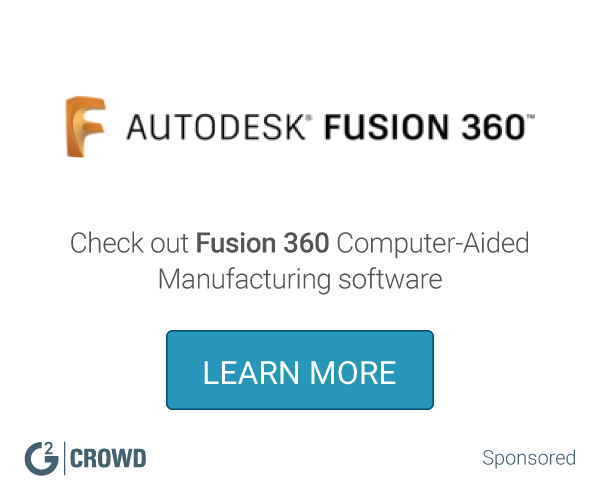 All around good choice for those that use SolidWorks. Biggest complaint is that I have to empty the temp folder daily. If not, software will crash. Auto feature recognition is useless in my opinion. We have struggled with the original post processors provided by the reseller really bad! They have made them good, but we have had to work closely with them for months to develop good proven posts. Our equipment is Haas, very common equipment. Volumill has improved output and tool life. I have worked with the reseller to develop a good multi part post processor which has also improved productivity. "Good interconection to solidworks to update automatically"
ha is not as intuitive as one would hope, there are several detailes that need to be specified and if a quick operation is needed to maachine for a rough concept it will be too off due to lack of some auto settings. a comprex part needed to be machinned, but it was designed in another CAD software, with solidcam it was abble to use the stepfile, open it on solidworks, detail it and easily send it to solidcam for the machining of it. The specifics of the department of Technological Machine and Equpmentsl our university requires a frequent change of the range of models and their production samples. To automate the development of control systems for CNC machines and ensure their continuous operation, in our opinion, the SolidWorks and SolidCAM combination is ideal. It is necessary to open a center for support soft and training programs. Currently there is no official dealer in Uzbekistan. Who would work on distributing Solidworks Solidcam software products. Many industrial companies use a hacked version of Solidworks Solidcam software and do not have experienced specialists. We can offer a project to distribute software products and organize training. As a result, the demand for these software products and training will increase. tool service and general level production reliability. If it possible oficial recieve version solidcam We could train my students and colleagues on the SolidCAM system. are expanding. And tight integration with SolidWorks provides fast and efficient development of control programs for CNC machines. This is especially important for industries with low serial production and frequent changes in the range of manufactured products. This product is easy to learn and efficient. It works well and I have never heard a problem with it. Fast programing, ease of use. Great Imachining. Very nice turning options. Unability of editing computed tool paths, like choosing single path and editing it like it's a solidworks geometry. Weak postprocessor editing options. You have to be expert to change something in postprocessor. In NX or Hypermill i can just edit postprocessor inside with ease via CAM module. Lack of some finish strategies eg. something like ISO lines in Hypermill. Very good and developed CAM that can satisfy the vast majority of needs there are on the market. Cheap to maintain. Easy to use for routing eps foam. For simple or complex cuts. When cutting complex structures the cut simulation becomes hard to interpret. Breaking it into steps would be useful to see the entire program. The process we previously used took hours, using solidcam takes minutes. "Cost to performance, first to use, did the job well." I never evaluate CAM software by features only. I think of the software cost to performance. And I believe the cost of Solidcam covers what we paid for. I have not used other CAM software to consider disadvantages in Solidcam. I used to manufacture packaging machine parts using Solidcam. The remember the pain we used to have when using manual machining tools. But our first step was into Solidcam, and we have not been disappointed. sometimes the software adds some unnecessary patterns that must be corrected before sending to the cnc. For this reason all the code must be previewed before finalizing. I have used the software in my previous company to prepare CNC machining codes and programs. I work with demo in the client company, and benefit is the price of the software. visualization of the final product and generation of code. The flexibility in selecting various processing conditions. the code generated for a smooth counter is not satisfactory based on the tool edge profile. Need to make some corrections. saving time for machining needs. "It is easy to use but as per my experience there is other software which has more tools that makes e"
Basic tools are good to use specially cutting tools. Software has its limitations as compare to others like overload part it cant proceed easily. Quick Setup and Easy measurement. * We monitor all Solidcam reviews to prevent fraudulent reviews and keep review quality high. We do not post reviews by company employees or direct competitors. Validated reviews require the user to submit a screenshot of the product containing their user ID, in order to verify a user is an actual user of the product. Hi there! Are you looking to implement a solution like Solidcam?